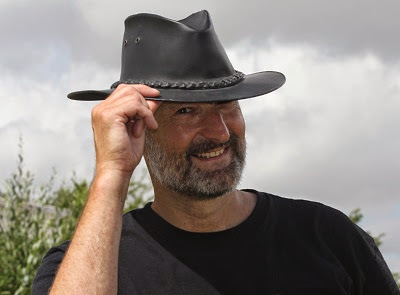 Is Alan Davies of MIL Collections faking evidence in parking cases? The Prankster has been forwarded the following facebook post. 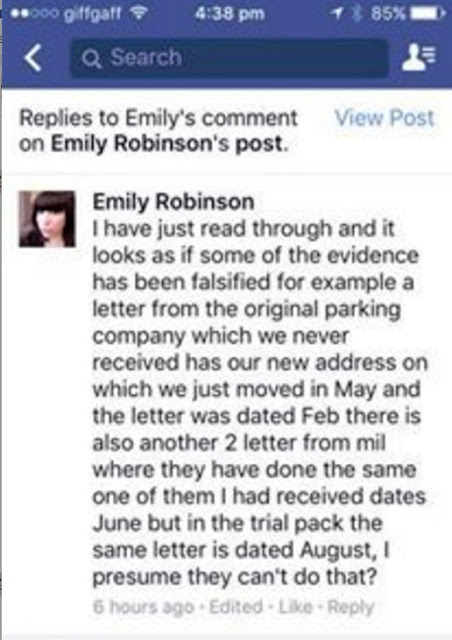 In it, MIL Collections have been accused of faking evidence because the letter from the parking company is dated in February, but addresses to a house the keeper only moved to in May. The dates on letters MIL sent have also been changed. If true this would be a clear fraud on the part of either MIL Collections or the parking company. The Prankster calls on Alan Davies to clarify the situation and if true to explain why he is submitting faked documents to court. MIL Collections are regulated by the FCA, and the CSA. The organisations have codes of practice. When MIL break them (as they clearly have in this case) the correct action is to first complain to MIL, and then if you get no proper apology, to escalate to their regulatory bodies. The best way to do this is to download their codes of practice (linked above) and file complaints which clearly set out where they have transgressed. If you are satisfied with MIL's answer, copy in the regulatory body to state you had a problem which was resolved in an acceptable manner. This will allow them to keep tabs on MIL and make sure MIL are not just paying lip service to the regulations. If you are not satisfied with MIL's answer, escalate to the regulatory body. Here is a typical complaint for a FCA transgression. I wish to raise a complaint under your FCA complaint handling procedure. In line with DISP 1.2.1 please provide me with information regarding your complaints procedure in writing. Please also suspend collection activities until the complaint is resolved. CONC 7.7.3 A firm must not cause a customer to believe that the customer is legally liable to pay the costs of recovery where no such obligation exists. It is worth noting that if you do not defend a MIL Collections court case they will get a default judgment against you which they will then be able to enforce. This facebook post details a case where MIL got judgment for £175. The motorist then paid within the time allowed, but MIL tried to add on £90 extra collection charges for bailiffs. The court was not impressed when the motorist got back in touch. It is worth noting that Alan Davies, MIL's managing director, is a morally bankrupt individual who has no problem with telling lies, inventing fictitious lawyers, deceiving the courts, charging fees which are not justified and using bullying and aggressive tactics. All of these characteristics have been detailed in previous blog posts. MIL Collections are regulated by the FCAhttps://www.handbook.fca.org.uk/handbook, and the CSA. The organisations have codes of practice. When MIL break them (as they clearly have in this case) the correct action is to first complain to MIL, and then if you get no proper apology, to escalate to their regulatory bodies. The best way to do this is to download their codes of practice (linked above) and file complaints which clearly set out where they have transgressed. If you are satisfied with MILs answer, copy in the regulatory body to state you had a problem which was resolved in an acceptable manner. This will allow them to keep tabs on MIL and make sure MIL are not just paying lip service to the regulations. Here is a typical complaint for a CSA transgression. I wish to raise a complaint that you are acting outside the CSA code of practice. According to the code of practice 3a I now require you to cease collection until the complaint is resolved. I require all communications from you to be by letter post and not by email or telephone. My complaint is as follows. You have also unlawfully pursued me for a debt to which you are not entitled as the deed of assignment from the parking company does not list my parking charge number, and therefore there is no proof this charge was ever assigned. The Prankster recommends complaining to both the CSA and the FCA. Ms W has contacted the Prankster to inform him that she won her case against MIL. Just thought you might be interested to know that I had my court day with MIL yesterday and after being called into see the judge was told that MIL hadn't sent a representative for my case and had formally discontinued! . Alan Davies recently wrote to Parking News to state that MIL always send an advocate to each case. It seems Mr Davies has a problem with telling the truth.